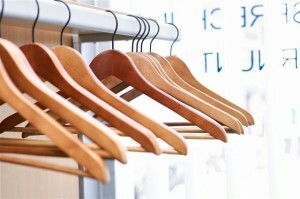 I’ll discuss how to do this over the next few weeks, but an organised wardrobe needs some pre-planning. Trousers should be hung from the hem with “grippy” hangers. A colleague has just told me about a foolproof way of hanging trousers over a bar – especially useful if you are short of long hanging space or for any mens trousers. 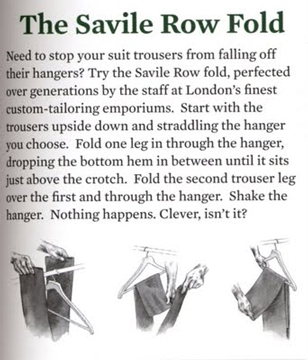 It is called The Saville Row Method – this stops any marks forming across the trouser leg and stops the trousers slipping off the bar. 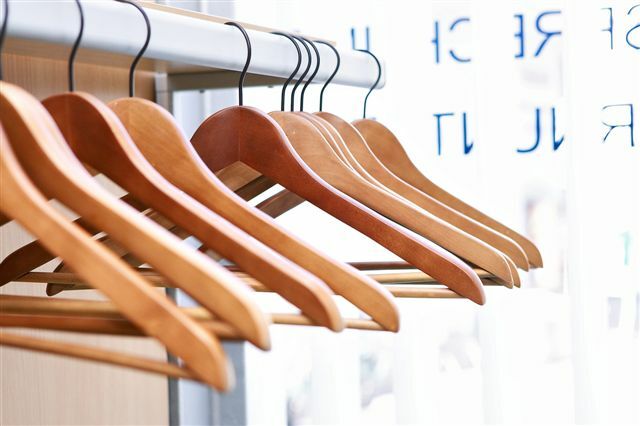 Avoid the space saving, multi-bar hangers – when clients have used these in the past, clothes and outfits have got lost under all the different layers of garments. If you have invested in good quality leather boots and shoes it is worth using shoe trees or boot shapers. A great way to store any chunky necklaces is to use a mug tree and hang the necklaces from the “arms” – each arm can hold a number of necklaces and this helps stop them getting tangled up.